Teen Titans Фан Art. 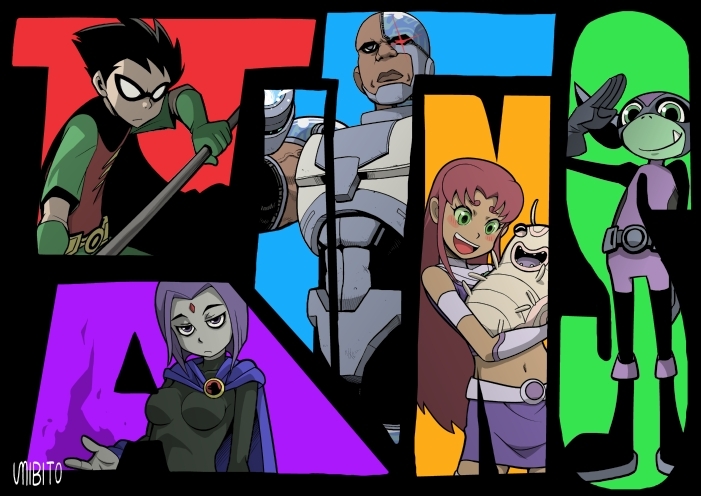 I do NOT take credit for these photos.. Wallpaper and background images in the Юные Титаны club tagged: teen titans starfire robin raven beast boy cyborg titans terra. This Юные Титаны fan art contains аниме, комиксы, манга, анимационные фильмы, комикс, мультфильм, and книга комиксов. There might also be витраж. Aw, BB in his Doom Patrol mask! LOL Cyborg's face is like: badass mofo. All he needs are some sunglasses.